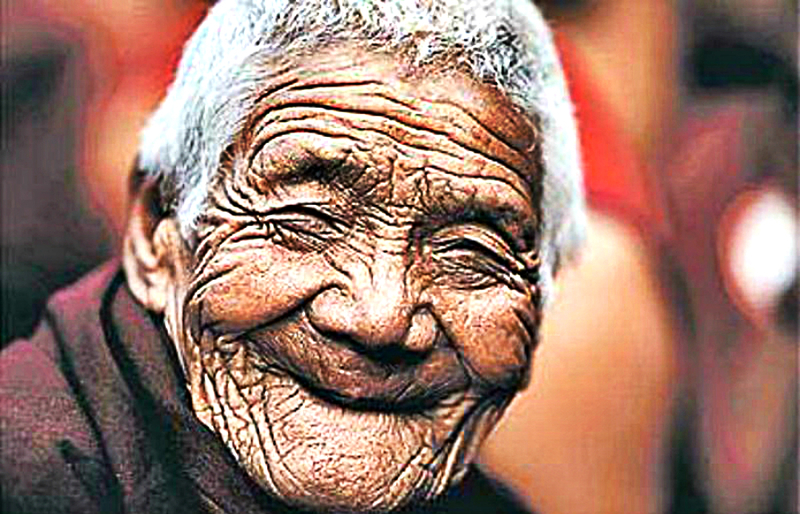 We often wonder what do people who live way longer than others do to achieve such longevity. But if you look throughout history, most of these people revealed their secrets through quotes, proverbs and wisdom. And these secrets look so simple that we tend to overlook. The craze for longevity is on the rise in the world today that people seek it anywhere it can be obtained. From stem cells therapy to the food we eat to the type of exercise regimen we need to follow, the choices are wide. But the real truth is much simpler, and ancient cultures seem to have understood this without even trying. Especially Tibetan wisdom! There is one old Tibetan proverb that shares with us 4 secrets to achieve longevity, which may make us all smile and agree of how simple and true these 4 advices feel. What does it mean to eat half? There’s a diet called “Just Eat Half” that is specially designed for dieters. It means eating half only of what is served on your plate. This serves the purpose of limiting your calorie intake, a simple approach to losing weight. However, not all people have the same kind of nutritional needs. If your work requires you to eat more, then you should eat the kind of food that provides your need. Just keep in mind to eat organic, and healthy foods. Avoid the unnecessary cravings that don’t serve you. Walking is one of the best exercises there is. Aside from being free and easy to do, it provides you the opportunity to be aware of your surroundings. On top of that, it gives you ample benefits, like weight loss, lowered blood pressure, reduced risk of chronic diseases, improved mood, and enhanced creativity among others. For one, the feeling of laughter is one of the best feeling there is. Laughing with others deepens your connection while keeping the atmosphere light. Science says laughter reduces the stress hormone levels, works your abs, improves cardiac health, activates T cells (specialized immune system cells), triggers the release of endorphins, and lastly triggers a general sense of well being. Cancer patients are even advised to watch comedy movies or shows because laughing has been found to relieve pain. Love is everything there is. Every form of faith, religion, or spirituality, regardless of their varying practices, all point to one and the same end: Love. Unconditional or infinite love opens your heart to connect with others and see them as they are. But first, you must cultivate this unconditional love within you because you cannot give others what you don’t have. Loving without measure means loving without limits, without boundaries. But of course, this involves tough love, which does not tolerate wrongdoings but corrects what needs to be corrected. These secrets are simple to follow but should be done every single day to be perfected. If you do this, daily for a year, or even five years, that means you’re adding lots of years to your life.